A WSJ blog post by Deborah Gage titled: Skype Founder to Students: Dont Follow the Obvious Path is the most insightful advice on creating a successful start-up I have encountered in quite some time. 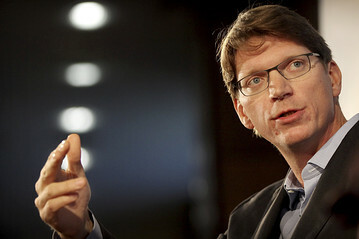 The talk was given by Skype Founder Niklas Zennstrom to a group of Stanford MBA students, but provided insight for any entrepreneur. Perseverance – Skype video calling was the third iteration of the business based on trial and error. Counter-intuitive – In order to be successful you have to bring something unique to the market. Few people will tell you your baby is ugly. Raising Capital is Hard – Little left to be said until you’ve tried it yourself. Hiring the Right People is Difficult – Few other factors have as big an impact. Timing – You can get all the above right and if timing is off, you go nowhere.